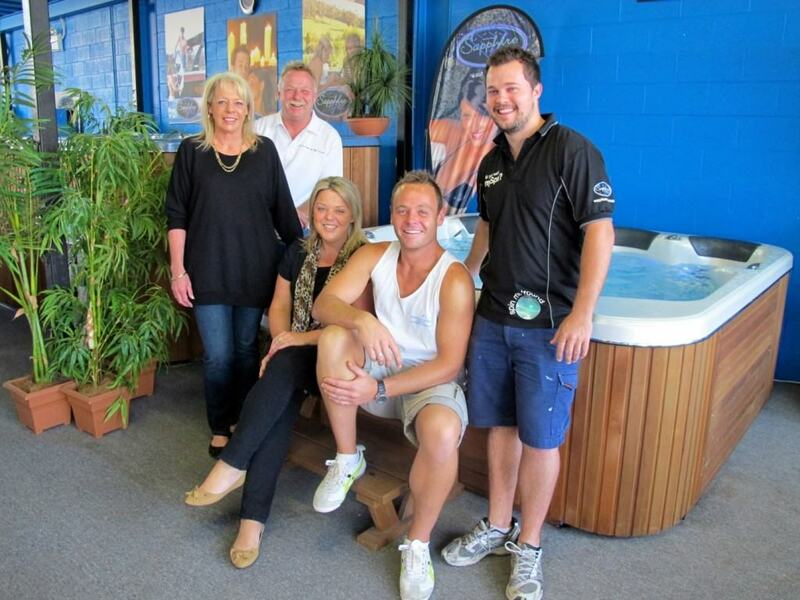 Phil’s Pool & Spa Centre was established in 1987 by Phil & Kym Buchanan and is a family owned Australian company. The Buchanan’s first opened the business in Port Hacking Rd Miranda and as the business rapidly grew they moved to their much larger current premises at 545 Princes Highway Kirrawee, where they could better showcase their large range of Spa Pools, Swim Spas & swimming pool and spa chemicals and accessories. Phil & Kym Buchanan, the owners of the business and lifetime Shire residents, are well known and recognized for their honest and reliable service, having for many years predominately served the St George & Sutherland Shire and Sydney Metropolitan Area with all its swimming pool & spa requirements. Phil is a licensed swimming pool builder & member of the Master Builders Association who prides himself on his excellent workmanship and attention to detail in all new pool constructions & renovations of existing pools. Over the past 30 years Phil has been honoured to receive several awards including a prestigious “Pool of The Year Award” & a “Civic Design Award” in that same year. Kym’s area of expertise is showroom sales & management. While Kym has a knowledge of spas that is second to none, she not only enjoys the sales experience she actually loves the personal interaction with her customers, many of whom have been customers since they first opened in 1987! Kym prides herself on the amount of spa sales she obtains through repeat business from customers who have previously purchased and have either moved house or are upgrading their spa and from customers who have been referred to Phil’s Pool & Spa Centre by other happy customers. Awards are not uncommon for Phil’s Pool & Spa Centre and just a few of the awards they have won include “Spa Dealer of The Year”, “Best Presented Showroom in Australia” and “St George & Sutherland Shire Leader Small Business Award Winner”. Phil & Kym’s children Blake & Ashleigh, also work within the business. Blake has worked for the company since leaving school in 2000 and is a fully qualified swimming pool & spa technician. Blake’s areas of expertise are performing spa service and repairs on all brands of spas, arranging all deliveries of new spa pools & swim spa sales to our customer’s homes in addition to the in home handover services of all new spas. Blake also excels in all facets of swimming pool & spa maintenance in addition to assisting Phil with all new swimming pool constructions and pool renovations. Ashleigh has been with the company full time since 2007 and excels in customer service, showroom management & sales. Her customer service is exceptional and she also handles all of the accounting duties. Unfortunately someone has to do it and she does it extremely well!! With the Buchanan’s and their staff having in excess of 80 years combined experience between them, their insistence on prompt, efficient & reliable service and with them only stocking products from the best manufacturers in the industry, you can always be assured of getting the best advice, service and products available anywhere.